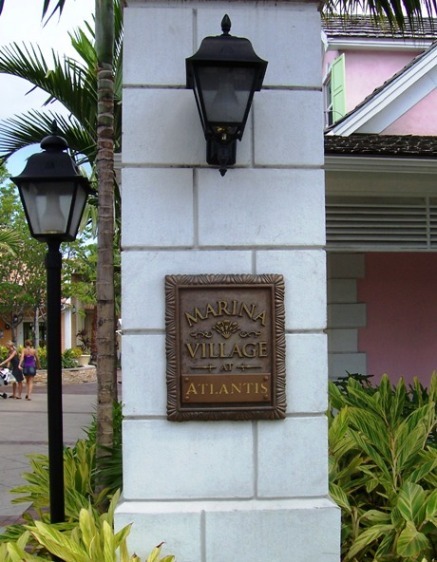 The pedestrian Marina Village at the Atlantis in the Bahamas is lined with restaurants and fast food take out places, retail boutiques and shops, and vendor carts. If you’re in the mood for shopping or you need something to wear, odds are you’ll find it here. 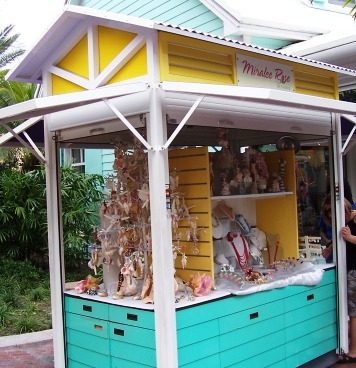 You’ll find luxurious boutiques selling designer resort wear, souvenir shops with t-shirts and seashell necklaces, exquisite gems and jewelry, and fine art plus affordable reproductions. You can grab a quick lunch of hamburgers, pizza, sandwiches, or even ice cream, or dine in style at a steak house, family-style Italian restaurant, or old French-colonial gourmet watering hole. 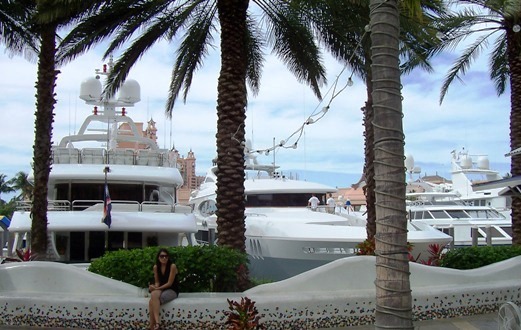 Or just check out the yachts! It’s a nice place for a stroll during the day or in the evening, and you’ll find plenty of benches and a couple of spotless public restrooms. Ready to look for something new to wear or some special souvenirs? Check out Clothing and Accessories. 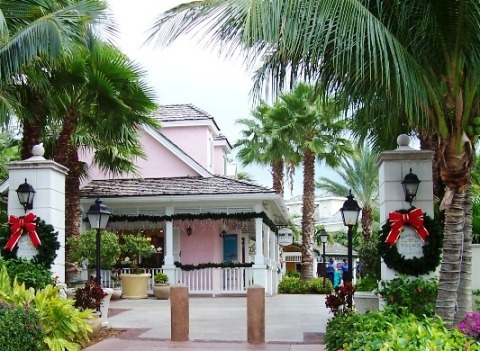 You’ll find resort wear, T-shirts, and fashion, including Pirana Joe’s and Tommy Bahamas. There is plenty to see and do. 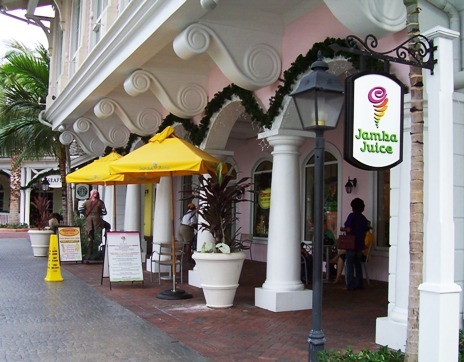 People stroll out from the Casino or Coral Towers for breakfast, lunch, a cup of Starbuck’s coffee, or an ice cream come from Ben and Jerry's. Not a shopper? 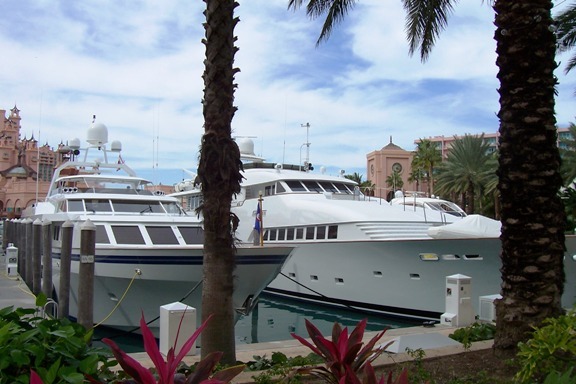 Grab a drink or an ice cream cone and check out the ultra-luxurious yachts in the adjacent Atlantis Marina.